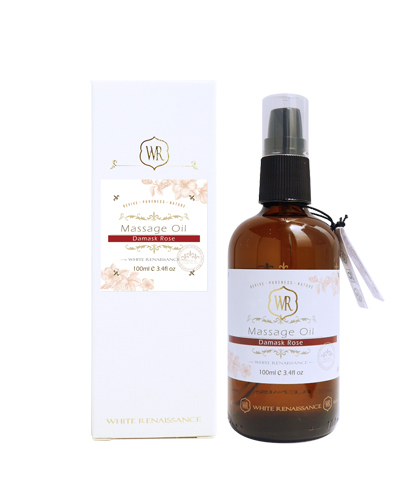 A gentle massage oil based on absorbable Grapeseed Oil and precious Evening Primrose oil, 100% natural. Infused with calming pure essential oils of chammomile and lavender, and added moisturizing calendula, with no artificial preservatives, dyes or fragrances, it's just pure natural baby oil for your pure natural baby. Ideal for infant massage, cradle cap, or moisturizing dry sensitive skin in children of all ages. Direction: Warm a small amount of Baby's Soothing Massage Oil into hands. Slowly and gently massage into baby's skin. Ingredients: Grapeseed Oil, Evening Primrose Oil, Calendula Extract, Vitamin E, Chammomile Essential Oil, Lavender Essential Oil, Mandarin Orange Essential Oil, Clary Sage Essential Oil.